A cooking tour in Italy with Abruzzo Cibus means hands-on cooking lessons where you learn to make regional specialties and traditional Italian dishes. Our 7 day tours are all-inclusive experiences, that include lodging, meals, wine, classes, tours and airport transfers, as well as daily guided tours to experience local Italian food, culture and people. Our flagship Abruzzo cooking experience, the Palazzo Tour d’Eau, in the historic village of Carunchio. Learn true Italian cooking. Our same Italian cooking school, but you’ll be staying in a nearby medieval village near the Adriatic Sea. only once a year and let you experience Abruzzo in its most majestic form. Staying at the boutique hotel Palazzo Tour d’Eau, perched on the hilltop village of Carunchio. Fiumicino airport pick up and drop off included, in a comfortable deluxe van. All meals are included and all you can drink Montepulciano wine at the table. All scheduled tours are included in the 7 day tour. Every tour is educational and easy walking. 4 amazing cooking classes. Abruzzo food will surprise you with its bold flavors. The best way to discover a region is through food. That is why we created the Abruzzo Cibus Culinary Tours. Cibus in latin means food. Our goal is to show people why Abruzzo is one of the world’s finest foodie destinations! Our cooking classes are held in the village of Carunchio, in Palazzo Tour D’Eau‘s exclusive cooking demonstration kitchen, with small groups of participants. Each participant has their own space to work in while participating in the demonstrations. 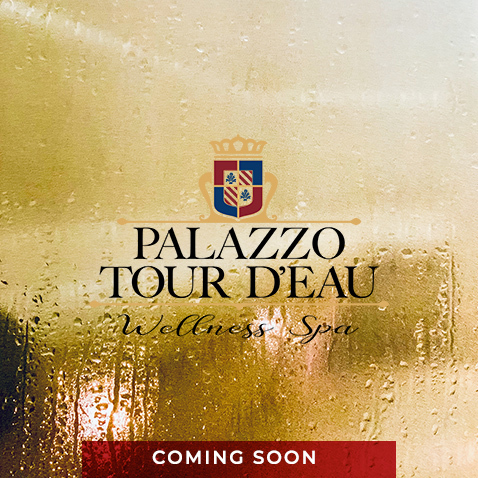 Fun, family, and friendship are emphasized as you watch, try for yourself, discuss, and sip wines from the Palazzo Tour D’Eau cellars. Abruzzo cuisine is not complicated or daring and inventive. Massimo Criscio, owner of Abruzzo Cibus says: “We don’t have to re-invent the wheel. All we are concerned about our food is that it’s seasonal, simple and mostly important flavorful”. Abruzzo Cibus Culinary Tours wants people to experience the Abruzzo lifestyle, the food traditions and show how simple food can be tasty and easy to make. Massimo and Chef Dino Alberto Paganelli will guide you into a unique experience that will be exclusive and special like a gourmet tour should be. It’s ten stately rooms have been richly refurbished for your comfort. Each room has its own bathroom and a splendid view of the valley and surrounding mountains. The 17th century church of San Giovanni Battista houses one of the most famous baroque pipe organs in Italy, dating back to the late 1600’s; if you’re here in the summer you just might be able to catch an organ concert! The church shares the summit of the hill with both Palazzo Castelli and Palazzo Tour D’Eau. The lunch and dinners were superb. The palazzo was situated in a nice hill where you can see mountains and beautiful scenery around you. It couldn’t have been more enjoyable! Everything about it is fantastic. The staff paid attention to every little detail and they kept us busy just the right amount of time. We had the best group ever! The experience of being in Italy among wonderful, caring people who were actually working very hard but made it always look as if they were having fun! The Palazzo Tour D’Eau must be put on your bucket list for sure. Massimo and his staff are the best. Everywhere and everything we did was AMAZING! This is definitely a must do vacation, I cannot stop talking about it and I cannot wait to go back next summer. Do not hesitant and enjoy the vacation I did! The staff of the school are excellent, everything neat and clean, with interesting side trips. We had a wonderful week. This was our best Epitourian experience to date! Any questions you may have concerning to our Cooking Classes, Tours or any other special request, feel free to contact us.